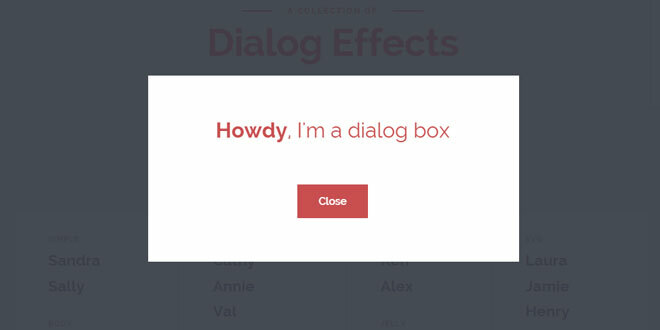 Inspiration for dialog effects is a small collection of dialog effects using CSS animations for your inspiration. Some effects use SVG animations of morphing paths with the help of Snap.svg. 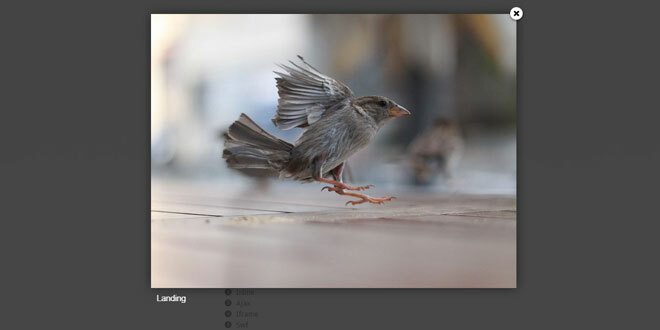 We use flexbox on the main dialog element in order to center the dialog content. The overlay will appear with a transition. 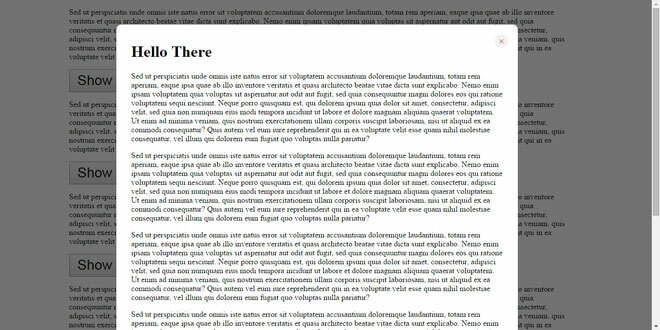 Please note that pointer events don’t work for IE < 11. Some effects have an additional division for the inner content in order to hide it initially and fade it in after an effect of the modal is finished. This makes sense for effects that scale/distort the dialog. With adding the dialog--open and dialog--close classes, we can control the appearing of the dialog and its inner elements. 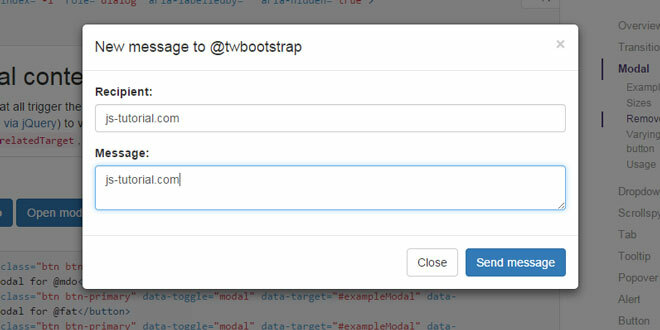 …where our trigger button has the data-attribute data-dialog="somedialog". For the SVG effects (except the line drawing of Wilma) we use Snap.svg to morph SVG paths. We add the SVG shape into a wrap right into the dialog content and then we define the path to morph to in data-morph-open.